Generally the first questions I’m asked by prospective clients relate to the cost of my service. I often explain that prices for hiring a London DJ vary enormously and are dependent on a number of factors. For instance, prices will often differ depending on the length of a DJs set and some performers will charge more if they’re required to travel longer distances. In addition DJs will often alter their prices depending on how much equipment they’re asked to provide and nightclubs will often be prepared to pay more money to a DJ will a loyal following. Throughout this blog I’ll be using to my experience and research I’ve done recently to explore this topic in more detail. According to Wikipedia Mobile DJs are DJs who “tour with portable sound, lighting and video systems”. Given this fact it’s understandable that Mobile DJs will often charge more than DJs who are tasked simply with using equipment and facilities provided by a venue to entertain an audience. When you consider how much money it costs to hire professional sound and lighting equipment the reason for this becomes even clearer. I recently searched online and found that to hire a pair of speakers “suitable for entertaining up to 50 people” for one night would cost a minimum of £50. Similarly a search on londondiscohire.com for Disco Lights shows that hiring a pair of ‘Moving Heads’ for a night would also cost £50. As part of the deals I’m referring to, the party organizer would also be burdened will collecting and returning the hired equipment. They’d also have to set up the equipment themselves, which could potentially be very time consuming. In addition they’d also have to hire more equipment to mount both the Speakers and the Disco Lights. Given the prices I’ve quoted above it’s obvious why many party organizers would opt for using a mobile DJ. Ultimately I think that it’s impossible to deny that both the quality and quantity of the equipment a DJ is required to supply will influence how much they charge. A DJ with a following? Hiring a DJ with a sizable following can have numerous benefits. At nightclubs for example, where the onus is on often on the DJ to the promote an event, selecting a popular DJ with a large following can be advantageous. 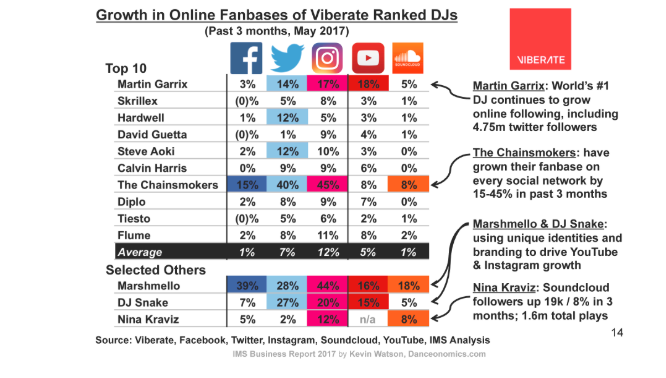 Because of this a DJ with a large social media following who is willing to use their online platforms to promote an event is likely to be more expensive than hiring a relatively unknown DJ. The case of Paris Hilton demonstrates this point perfectly. In 2014 the socialite was reportedly paid 1 million pounds for a 1 hour DJ set. This undoubtedly was due largely to the size of her following and her celebrity status. In my opinion organizers of large festivals are be particularity concerned about the popularity of the DJs they hire to headline their shows. Typically only DJs with extremely large followings will be considered for such roles. Research from the website Priceonomics shows that it can cost in excess of £50,000 to hire DJs such as Calvin Harris, Steve Akoi and Afrojack for a single show. In contrast hiring a relatively unknown DJ for a set which would typically last between 3 and 5 hours can be very affordable. 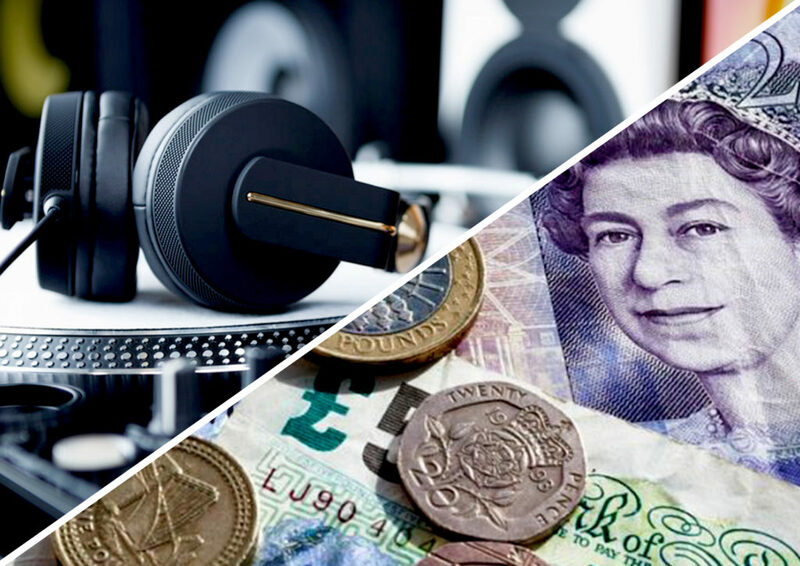 If the DJ isn’t required to bring anything aside from his ‘DJ Controller’/Decks and his Records or Laptop it is not uncommon for DJs to charge as little as £150 for a 4 hour set. According to Hitched.com the Wedding Industry in the UK is worth just over 10 billion pounds annually. As part of this, according to Bridebook.com, the average Wedding in the UK in 2018 cost £30,335. Given these figures it’s unsurprising that Wedding DJs are, on average, more expensive to hire than DJs for other events. Based purely on the importance of a Wedding in comparison to arguably to any other event it’s easy to understand why couples would be prepared to pay a little extra to secure the right performers. The expense of Wedding DJs is however also linked to a number of other factors. For instance, recent years has seen the emergence of the ‘multi faceted Wedding DJ’ who performs numerous roles aside from just DJing. For example, many Wedding DJs now also act as compares and are adept at making announcements throughout the ceremony. In many cases DJs now perform tasks which have traditionally been undertaken by Toastmasters. I asked former Wedding DJ of the year Tony Winyard what he thought about the changes to his industry in recent years. 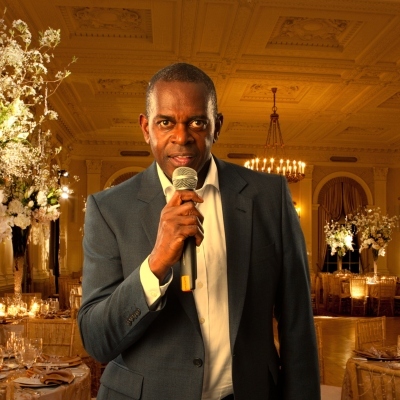 He explained that “Many couples today don’t want the level of formality a toastmaster brings but do want the day to be coordinated and have the guests informed” He went on to explain that “Weddings DJs can offer something different to that of a toastmaster”. If a couple elects to use a Wedding DJ to make announcements instead of a Toastmaster it may cost considerably more that hiring a DJ who has the sole responsibility of entertaining Wedding guests on the dance floor. This is understandable when you consider that it is not uncommon for Toastmasters in London to charge in excess on £400 for a days work. Many DJs are now also heavily involved with planning the Weddings they perform at. As part of this DJs may charge additional fees for meeting with couples in person prior to their special day. 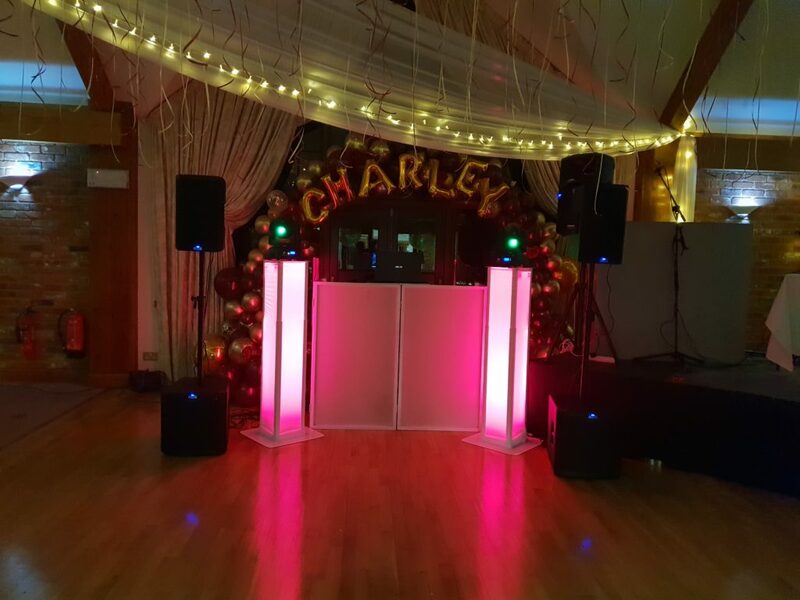 Similarly DJs are often now given the responsibility of liaising with a number of other members of staff and are tasked with ensuring that the day runs as smoothly as possible. In addition to this it is not uncommon for Wedding DJs to be heavily involved with Design, Lighting and Production. As part of this many are now able to supply bespoke Disco Lighting shows in addition of Mood Lighting and PA equipment. I asked Mark Van Den Berg of Mighty Fine Entertainment about the importance of this. He explained he was “very conscious of providing aesthetically-pleasing DJ set ups that are not only sympathetic to the amazing buildings and rooms we are lucky enough to work in but also complement our wedding couples”. Ultimately the choice is yours! In summary there are clearly a number of factors which influence the cost of hiring a DJ. Personally I can completely understand why DJs alter their prices depending on how much equipment they’re required to provide, how far they’re travelling and on how long they’ll be playing for. Similarly I can also understand why Nightclubs and organizers of festivals have a preference for DJs with large followings. With that being said I’m still of the opinion that “the suitability of a DJ is relative to the requirements of the client”. As part of this I can also understand why some people are prepared to pay more money for DJs who can “mix”, are connoisseurs of certain genres of music and for DJs who come highly recommended. Ultimately any questions relating to value are somewhat subjective and it could be strongly argued that a DJs service is worth as much as a consumer is willing to pay for it! I really hope that you’ve enjoyed reading this blog! I also hope that this blog’s content will help you to make a better informed decision next time you need to hire a DJ. If you’re interested in similar posts you can find others that I’ve published recently just here.